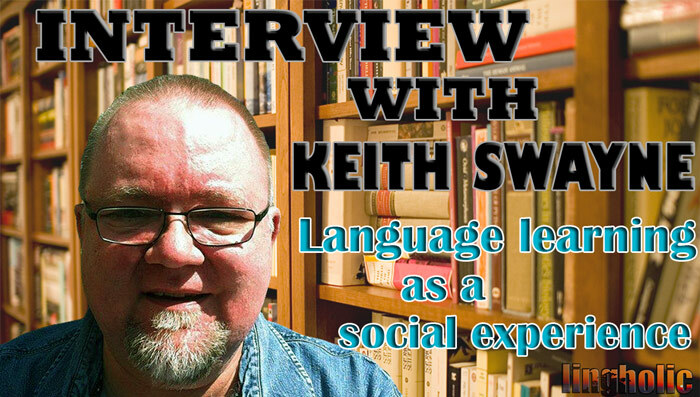 Today on Lingholic we have Vancouver-based polyglot and language teacher Keith Swayne. Keith is an amazing person full of interesting stories, and in today’s post and interview, he will share with you what 20 years of language learning and teaching has taught him: that relationships matters. Keith’s powerful message may very well forever change the way you see language learning. Enjoy Keith’s article and the interview we recorded, and don’t forget to share this article and comment below. Even if you are motivated to become bilingual for the sake of your career, education or insatiable curiosity, you’ll still find that the greatest rewards of all are the personal relationships that a new language makes possible. Languages in themselves may be fascinating, but ultimately they are only a way of communicating with the fascinating people who speak them. Languages are bridges between people. The largest group of successful language learners are people who have done it for love — not the love of languages, but the love of people. This love takes different forms. Stacey, a University of Texas student, picked up Spanish when she dated a Venezuelan. “My speaking ability increased to near native fluency during the year and a half I dated him.” He’s gone, but Stacey’s Spanish isn’t. It was in the kitchen of an Israeli kibbutz that Margo picked up Hebrew. She’s Canadian, with no ethnic connection to Israel, and says she didn’t even know how to say “Shalom!” (meaning “Hello!”) properly when she arrived for her four-and-a-half year visit. She quickly developed a deep affection for the culture and people of Israel. It was the desire to communicate with these people that made the language come easily. While she chopped vegetables, she would ask the other kitchen workers how to say new things in Hebrew. Every day, chatting while she worked, her proficiency improved. Missionaries and foreign relief workers are often highly successful at language acquisition because they are also motivated by a love for people and a desire to do good, to help someone, to demonstrate love in action. Without an ability to communicate in the local language, the range of ways you can help the community is greatly restricted. Kim felt the relief of making a breakthrough in Spanish after living in Guatemala for a year. He hadn’t made much progress, even though he’d studied hard in traditional language classes. “Then,” he says, “one day something clicked in my head. I was asked to pray out loud for a group of men gathered at a training workshop. When I just took the risk and opened my mouth, I suddenly found I could speak Spanish. I started that day and I’ve been speaking ever since.” The ability to talk and work with the local people set Kim free for the work he longed to do. He was able to establish a school for disadvantaged children, coordinate building projects in poverty stricken areas and serve as a go-between for churches in many parts of Central America and North America. A new language will be your bridge to other people. As soon as you get your first taste of what it’s like to talk with someone in another language, your progress will be faster and the work will seem lighter. In fact, that’s why speaking to learn works better that learning to speak. The rewards are obvious and almost immediate. It’s just more fun to talk with people than it is to write out translation exercises. And because it’s fun, you can’t quit. So you keep using your new language, getting better at it day by day. 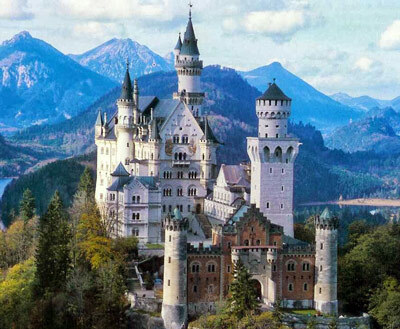 A multilingual friend told me, “The world is like a beautiful castle. People who speak only one language spend their whole lives in just one room.” I believe that there are wonderful people in every room of the castle, and they will ultimately be the best reason to explore other langauges.